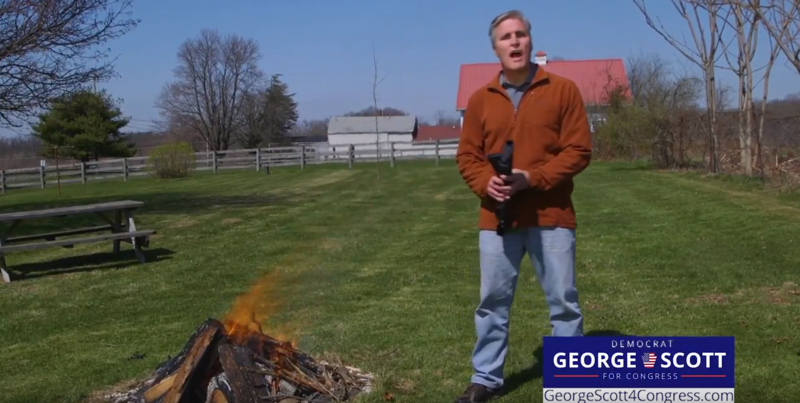 10th Congressional candidate George Scott launched his first ad of the Democratic primary that will peak interest among many, it features him burning an assault rifle. 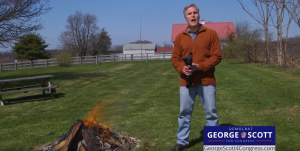 The ad demonstrates Scott’s “commitment to ending gun violence by burning an assault rifle in a bonfire” according to a release from the campaign. “I’ve served in the Army all over the world. And I was trained to use guns like these. But Donald Trump’s loyal soldiers like Scott Perry exploit God and guns to score political points,” Scott says in the ad. The 30-second ad features Scott speaking directly to the camera while disassembling a Smith & Wesson M&P 15-22 before placing it in a fire. The ad will likely spark interest of gun control and gun rights groups across the country. Scott is running against Eric Ding, Robert Howe, Shavonnia Corbin-Johnson. If Candidate Scott wanted to touch a nerve and make a provocative ad, he accomplished his goal, and achieved a huge amount of free advertising. Many people here took the bait and probably most do not even vote in the District. His critics are not the only ones who saw the ad. Well lets see what happens on 5.15.